The Isle of Wight has a wealth of footpaths and bridleways and is reputed to have more footpaths per square mile than any other English county – from a 60 mile coastal path, to easy circular routes, and short town trails – there are over 500 miles of well maintained paths on an island that measures 23 by 15 miles. The Coastal Path can be walked in four days at a leisurely pace. The coastline is varied from white chalk cliffs to quiet estuaries. Almost half of the coastline is designated “Heritage Coast”, a definition applied only to coastlines of the highest quality and unspoilt nature. Inland the chalk downlands are the home to many unique wild flowers and fauna, and the Island has some of the most picturesque villages in the country. 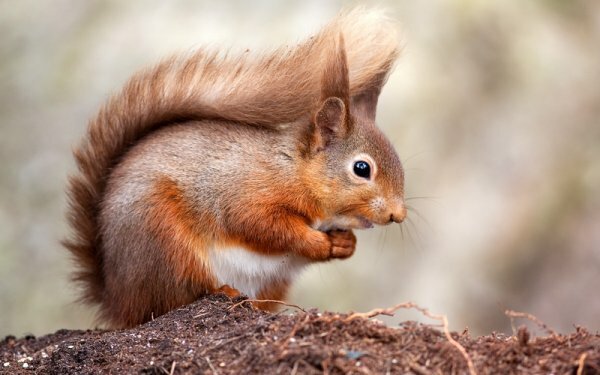 Red Squirrels are a particular delight – they are in abundance with no grey squirrels on the Island. The Hampshire and Isle of Wight Wildlife Trust produce a free leaflet every April and September. 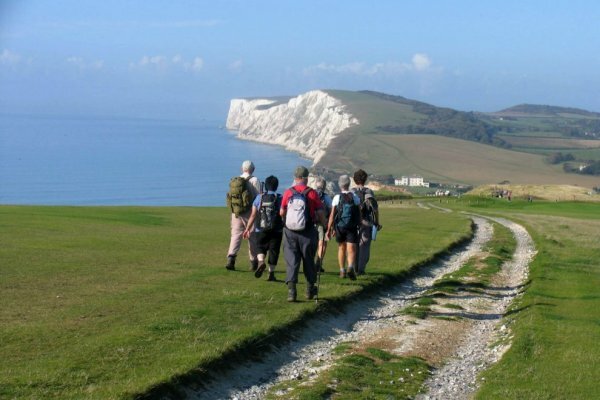 Wight Summer has 100+ walks and events for the period April to September. Wight Winter has about 50 walks and events taking place between October and March. 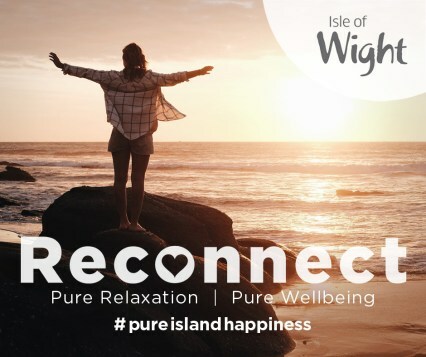 The Isle of Wight Walking Festival takes place over two weeks in May. Details can be seen here. A pleasant easterly stroll along the coast to Bonchurch. Go down to the harbour, walk to the end of the car park and keep going along the sea wall via Wheeler’s Bay. You can return by the same route. To the west to Steephill Cove and the Botanic Gardens then up onto the hill with a return over Rew Downs. This is a 3.5 miles walk Continuing along the coast through the St Lawrence undercliff is a recommended extension to this walk. A magnificent walk to the east by climbing St Boniface Down and returning by the the famous Devil’s Chimney and the undercliff. This is 5.5 miles and a bit more strenuous. For a longer walk you can continue along the Down and descend into Shanklin, before returning either by bus or by the undercliff. Inland to Appuldurcombe and Wroxall, going out over Ventnor golf course and returning from St Boniface Down. Directions for these walks are in the Bermuda House, Beach View Apartment and High Street Suites 3 welcome folders.